Job Opening For Portraits Sales Associate : Portraits Inc.
We are always looking to expand our national sales team of fine portrait experts. If you are an outgoing, motivated, detail-oriented individual who is passionate about art and people, an exclusive opportunity awaits you at America’s oldest and most esteemed portrait company. Through Portraits, Inc., many people have discovered an exciting, flexible, and rewarding career representing more than 150 of the world’s top portrait artists. We offer a thorough training program, a friendly and professional support staff, association with a nationwide network of outstanding sales associates, and the chance to know and work with many artists of national and international acclaim. Most of all, we offer the exciting experience of working in the arts as you assist clients in selecting the best portrait artists to create the portraits they desire. 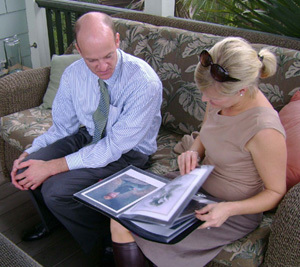 The job of the Portraits, Inc. Sales Associate is to assist potential clients in the process of selecting the perfect artist for their commissioned portrait. With so many exceptional artists on the Portraits, Inc. roster, that choice is not always an easy one. Our associates familiarize themselves with the styles and working methods of each of our artists to facilitate the process and become the portrait experts on whom our clients rely. With nearly 70 years of experience in the portrait business, Portraits, Inc. employs charismatic, service-oriented associates who are committed to our mission. Currently we have more than 60 sales associates in 22 states and operate galleries in New York, NY, Birmingham, AL, and Flat Rock, NC. For more information about our company, our philosophy, and the experience of being one of our sales associates, please contact Bebe Barnard. We look forward to talking with you about the opportunities offered through our company.